We are dedicated to redressing the balance between man and nature. Through history we have seen how vital this is. The impact of losing one species can have a devastating effects on the whole ecosystem and many have long term effects that, as yet, we still do not fully understand. I am championing a programme to use art as a way of educating and make aware the problems that are affecting wildlife and nature conservation throughout the UK and indeed throughout the world. Education and awareness plays an important role in my wildlife and nature conservation society. At Nature Through Art my aim is to deliver awareness via workshops, seminars, presentations, schools, field studies and our website. As well as any other means of communication we have access to enabling future generations to understand and learn about environmental issues which affect us all, and the ways in which we can all help to secure the future and well being of British wildlife and the worlds nature habitat. 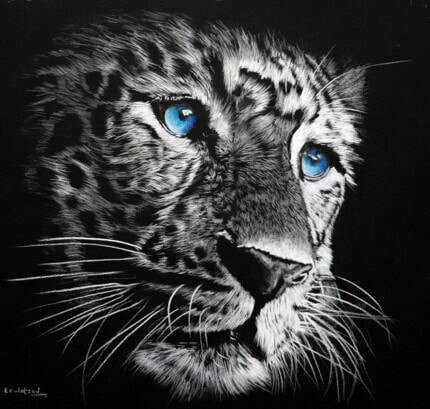 As a animal and wildlife artist and conservationist I have serious concerns to the wildlife and nature environment and realise that it needs as much support as we can possible give. I want to help the environmental and wildlife conservation organisations to raise awareness and achieve education. I aim to establish strategic awareness and achieve educational partnerships as a necessity to help deliver such programmes to help in their quest to continue in their strategic aims. The study of Nature Through Art allows us to gain experience, observe and understand the relationship to nature and environment. The examination of Nature through artistic processes has been a constant in the development of artists and scientists throughout culture and history. To inspire us all to be creative on a personal level through group interactions, film press and media to bring awareness and support for conservation and habitat issues. This inspiring approach makes conservation personal for everybody and to help them get involved and be part of the solution.